Hey all! 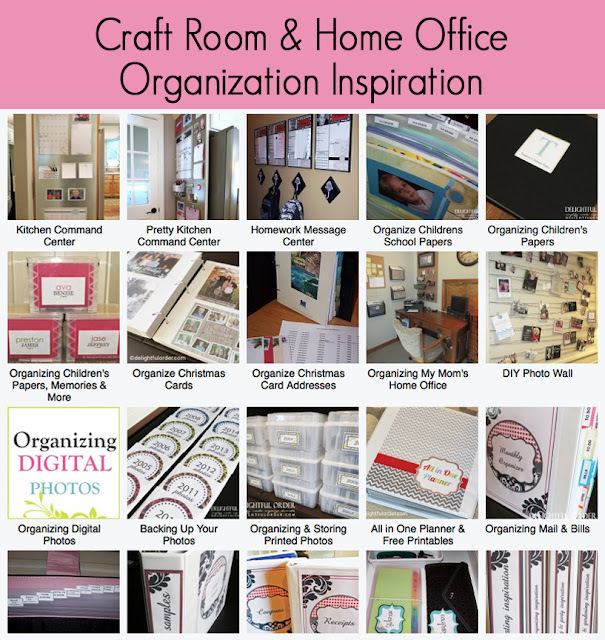 Yesterday I gave you the list on getting your craft room/ home office organized. This is part of the Delightful Order Monthly Organizing Challenge. Read all about the Challenge HERE. Here's some organizing inspiration for you.